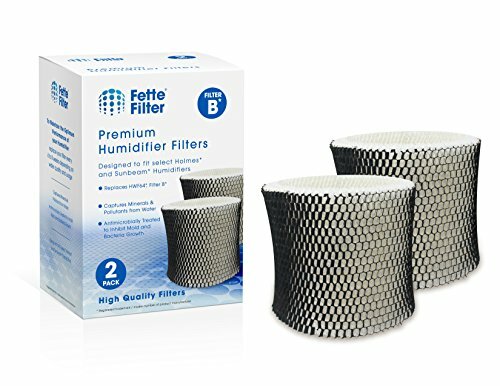 2-Pack - Holmes HWF64 Compatible Humidifier Filter - Filter B. Fits Holmes Models: HM1730, HM1745, HM1746, HM1750, HM2200. Fits Sunbeam Models: SCM1745, SCM1746. Fits Bionaire Models: BWF64, BWF64CS, BCM1745, BCM1745-C, BCM2200. This is not a Holmes®, Sunbeam® or Bionaire® OEM product. The Holmes®, Sunbeam® and Bionaire® brand names and logos are the registered trademarks of their respective owners. Any use of the Holmes® Sunbeam® and Bionaire® brand names or model designations for this product are made solely for purposes of demonstrating compatibility.